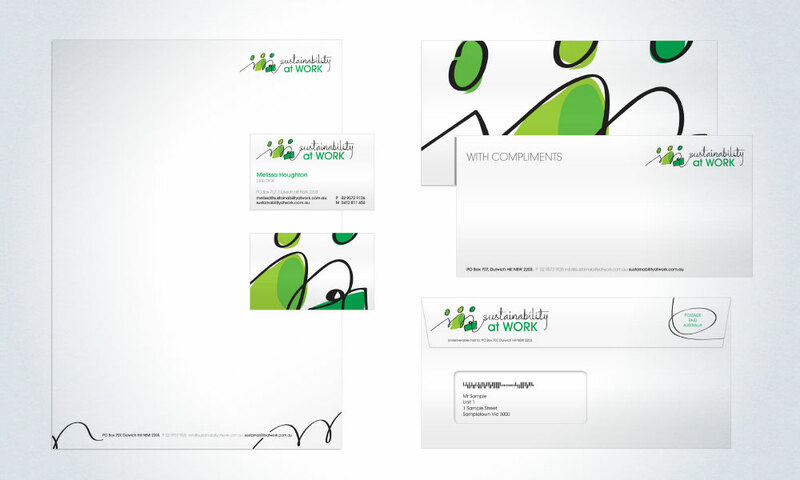 Sustainability at work needed a logo that communicated that they were about more than just saving the environment and changing light globes. Their service offering was about connecting people in work processes to make efficiency save companies money. Of course as much as we tried to steer clear of green, there’s just no other colour that works quite so well to communicate that somethings sustainable.